Packed with vital information culled from the extensive For Dummies accounting, bookkeeping, and auditing libraries, Accounting All-in-One For Dummies is a powerful, one-stop reference. Accounting All-in-One For Dummies is a comprehensive resource on a variety of accounting concepts. You’ll get up to speed on: setting up your accounting system; recording accounting transactions; adjusting and closing entries; preparing income statements and balance sheets; planning and budgeting for your business; handling cash and making purchase decisions; and more. 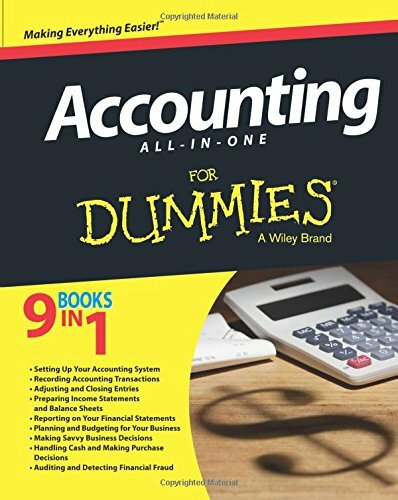 Accounting All-in-One For Dummies is a one-stop reference for students studying the application of accounting theories and a valuable desk reference for accounting professionals in the workforce.